← Celebrate Anthony’s Birthday With SBAI on 2/15! 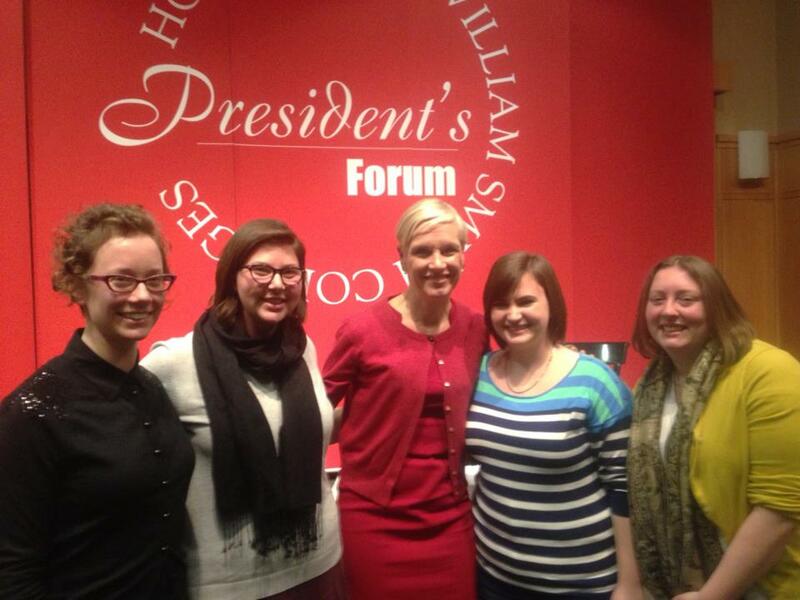 Last night some SBAI’ers had the opportunity to meet Cecile Richards, a national leader in women’s health and reproductive rights (and the current President of Planned Parenthood Federation of America). Richards discussed the future of women’s reproductive health and rights, how young people are changing the world through social media, and how men and lgbt communities are becoming increasingly more involved in the reproductive rights movement. From left to right: Program Assistant Kaitlin Legg, senior Women’s Studies major Hilary Wermers, Cecile Richards, senior Women’s Studies minor Erika Howard, Program Manager Angela Clark-Taylor. This entry was posted in Community, News and tagged #cecilerichards, #PlannedParenthood, #ppfa, #pprsr, #reproductivehealth, #reproductivejustice, #reproductiverights. Bookmark the permalink.